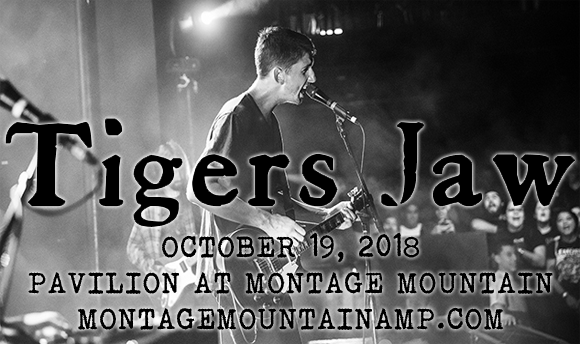 Formed in 2005 in Scranton, Pennsylvania, American indie rock band Tigers Jaw has experienced a number of line-up changes since its conception thirteen years ago. Originally a pop-punk two-piece comprised of Adam McIlwee (guitar, vocals) and Ben Walsh (guitar, vocals), in its first year the duo became a full band also consisting of bassist Dennis Mishko and drummer Mike May (who was later replaced by drummer Pat Brier) and keyboard player Brianna Collins. As a group, the band recorded its 2006 debut album, Belongs to the Dead, which was followed by a self-titled second album in 2008 and a third, Two Worlds, in 2010. In 2013, Tigers Jaw announced that Adam McIlwee, Dennis Mishko, and Pat Brier were leaving the lineup, and the band was going on hiatus. However, the band continued as a duo and in 2014 announced its fourth studio album, Charmer, which proved to be its most successful yet, reaching number 49 on the Billboard Charts. The band's most recent album, Spin, was released in May 2017.